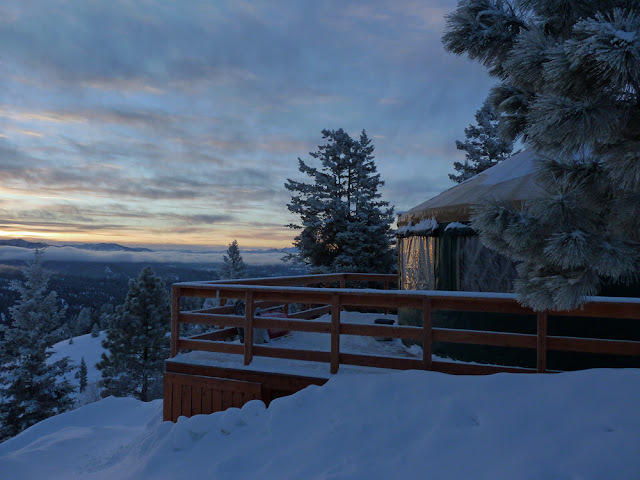 Our second yurt trip went great. We witnessed a beautiful sunrise. 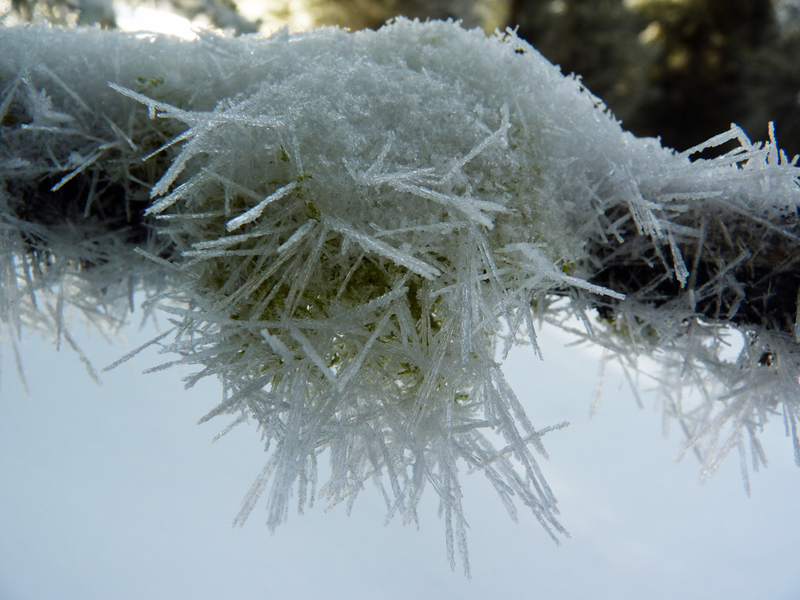 That same frosty morning we saw all sorts of beautiful, fragile and temporary ice crystals. My new hat worked well. 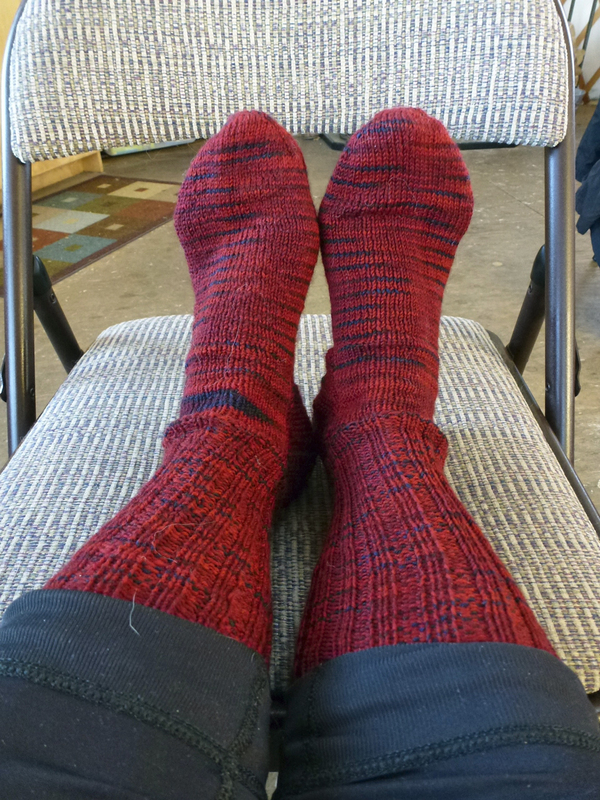 I was able to finish knitting a pair of socks. We snow-shoed up to Stargaze Point; elevation 6682 feet. 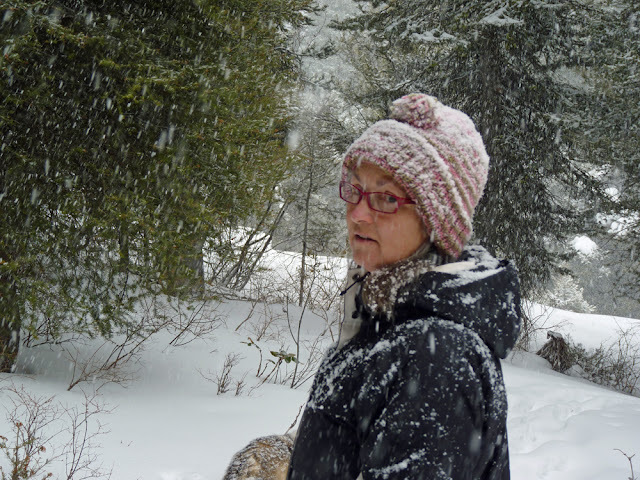 It felt great getting out into the snow again but now spring is immanent; Kim has already planted seeds in the cold frame. Time to welcome it. I welcome spring as well. What an amazing view you must have from the Yurt. The first picture is just wonderful.Your knitting projects must come in handy for those winter hikes. A cozy fire must help to. 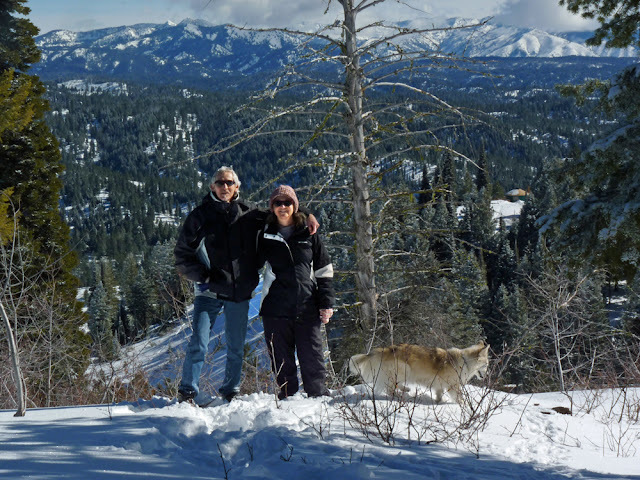 This is the way to get the best out of the winter season! Always enjoy seeing your yurt trips.. Those socks look toasty warm.....great colour. Oh Victoria, so many people are craving spring but looking at these photos I can't help marvel and the beauty and majesty of winter in the mountains. I love the photo of you in the snow with your hat. And of course the sunny photo of you, Kim and your pooch is just glorious. Good luck with the seeds. And thank you for your comments on my blog. You amaze me. I hope someday we can meet. Cheers. 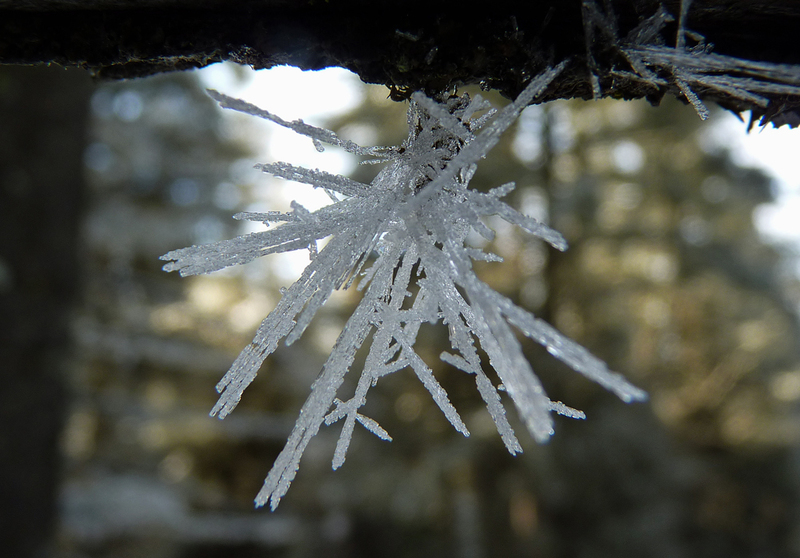 Your ice crystal photos are beautiful but that first picture with the sunrise is outstanding.